Biography: Contemporary British Painting and British Women Artists . After Marguerite Horner completed her B.A. degree in Fine Art in her twenties, she was offered two solo exhibitions, at The Mappin Art Gallery Sheffield and Usher Art Gallery Lincoln. Art historian and critic Professor Frances Spalding CBE reviewed these exhibitions in "Arts Review" writing "The intrigue of her work depends partly on the knife-edge balance maintained between painterliness and hard-edge photo-realism by varying the sharpness of focus". 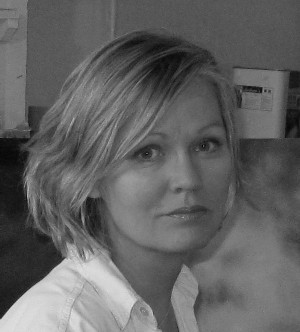 She has since been exhibiting widely in Art Fairs and Group Shows, including the Royal Academy Summer Exhibition, the ING Discerning Eye Exhibition, The Threadneedle Prize, The Open West, The National Open, The Lynn Painters Stainer Exhibition and The RWS Contemporary watercolour Competition, among others. In 2011 Marguerite exhibited at the 54th Venice Biennale in "Afternoon Tea" with WW Gallery and in 2012 had her first London Solo Exhibition "The Seen and Unseen" at The Pitzhanger Manor Gallery. The catalogue essay was written by Lady Marina Vaizey C.B.E. (former Art Critic for the FT and Sunday Times and a Turner Prize Judge). In 2017 Marguerite's painting 'Church' which was inspired by a humanitarian visit to the original Calais refugee 'Jungle' camp was awarded the NOA17 MS Amlin prize showing 'Continuity in an uncertain World. In 2018 Marguerite was the winner of the British Women Artists Award . In 2017 as part of the Priseman-Seabrook collection Marguerites work was exhibited in 4 museums in China: The Yantai Art Museum, Yantai; Jiangsu Arts and Crafts Museum/Nanjing, Jiangsu; The Artall Gallery, Nanjing, Jiangsu and the Museum of Tianjin Academy of Fine Arts/Tianjin, and in 2019 was part of the 'Made in Britain' exhibition in the National Gallery in Gdansk, Poland. Marguerite is a London based artist and her work is in several international public and private collections. My practice is concerned with the non-material, a reality we can access through contemplation and painting...Jung asserts that the experience of the Sacred and Holy is a fundamental requirement of the self, to deny it brings spiritual decay; to embrace it illuminates the soul with meaning. Through my work I'm interested in enquiring into the ways in which man may be related to the infinite. Upon the framework of this enquiry my paintings aim to investigate, amongst other things, notions of transience, intimacy, loss and hope. I use the external world as a trigger or metaphor for these experiences and through a period of gestation and distillation, I make a series of intuitive decisions that lead the work towards completion.